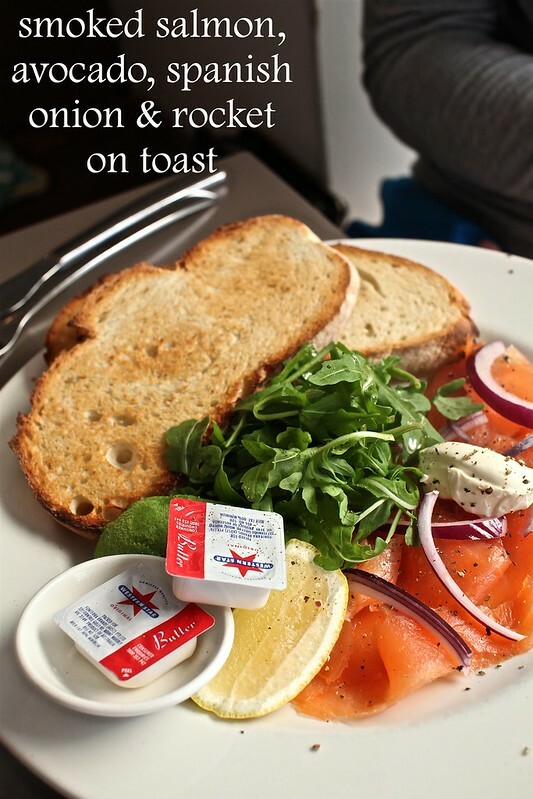 The smoked salmon, avocado, spanish onion & rocket on toast is like a deconstructed sandwich and is splayed out for all to see. Every element is extremely fresh, well balanced and as it should. Welcome to Swell Restaurant, a beautiful beach breakfast spot. Look at that yolk ooze out – now that’s mind kind of breakfast. It all looks quite amazing. Wouldn’t mind that for breakfast as a weekend treat. Whoa, you have to book, even for breakfast? Such a restaurant must be swell indeed! It gets really busy. You can get a seat without a booking but given the time pressures of 1P parking and having to wait. I vote for booking ahead! Guess I’ll be making my first breakfast booking ever soon! Truffle poached eggs. You’re killing me! Oh my god the truffle poached eggs look amazing! 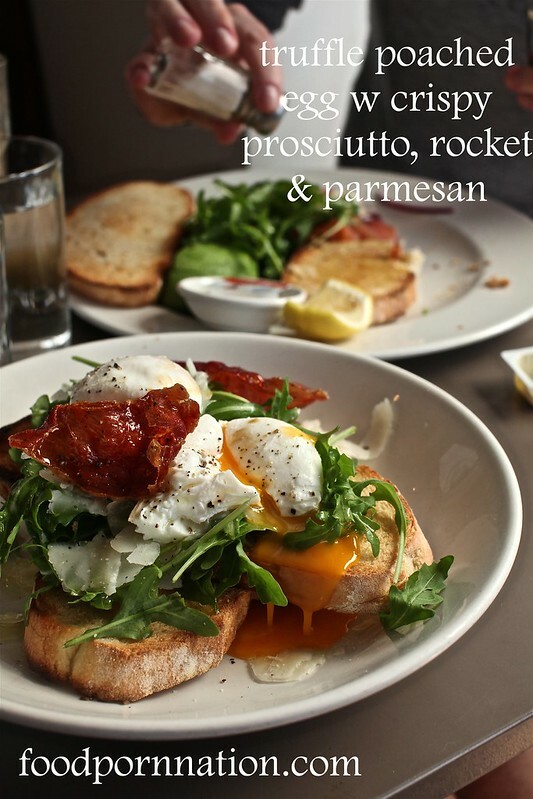 That truffle poached egg looks brilliant just as your photography is. Just curious how much that dish cost. Oops I normally quote prices. It was $18.50. Pretty good value huh? !